Baird, Frank. Rob Macnab: A Story of Old Pictou. Halifax, Royal Print and Litho Ltd., 1923. 250 p. Illus. Named after the ship that brought nearly 200 Highland Scots to the wilderness of Pictou and West River, Nova Scotia, in 1773, "Hector" Davie narrates this tale of witchery, muscular Christianity, press gangs, and Culloden-haunted memory in an historical novel in the tradition of Sir Walter Scott. The setting is Pictou County, Nova Scotia. 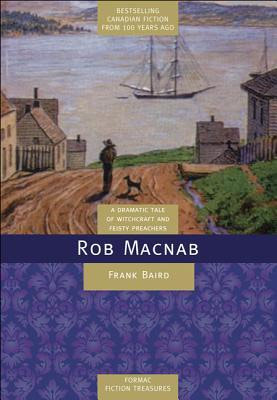 The story revolves around Rob Macnab -- a young man of mysterious background whose future begins to be resolved as the Gaelic-speaking Scots of Pictou literally "fight" an election against the "wily Halifax men" surrounding the all-powerful governor and bishop of the colony. Originally published in 1923, with drawings by famed illustrator C.W. Jeffreys, Rob Macnab is an action-packed story which brings late-18th-century Nova Scotia to life.